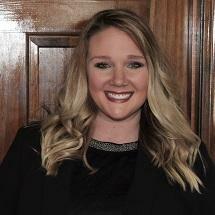 Brooke Talley came to Dowan Law Offices with a background in juvenile justice. She graduated from Northern Kentucky University Salmon P. Chase College of Law in May 2016 and is currently admitted to practice in Ohio and Kentucky. Brooke obtained limited bar certifications to practice under the supervision of a licensed attorney from the Ohio, Kentucky, and California Supreme Courts in 2015. Under those licensures, she advocated tirelessly for youth in a variety of legal proceedings in all three states. She has practiced across multiple courts of law including family, juvenile, reentry, delinquency, and dependency. Brooke mixes the legal skills developed from practice, an uncompromising work ethic, her compassionate heart, and a passion for justice to advocate vehemently on behalf of her clients. IOLTA Fellowship, Children’s Law Center, Inc.